Tired of expensive repairs on your washer & dryer? Never pay to replace or fix your washer or dryer again! 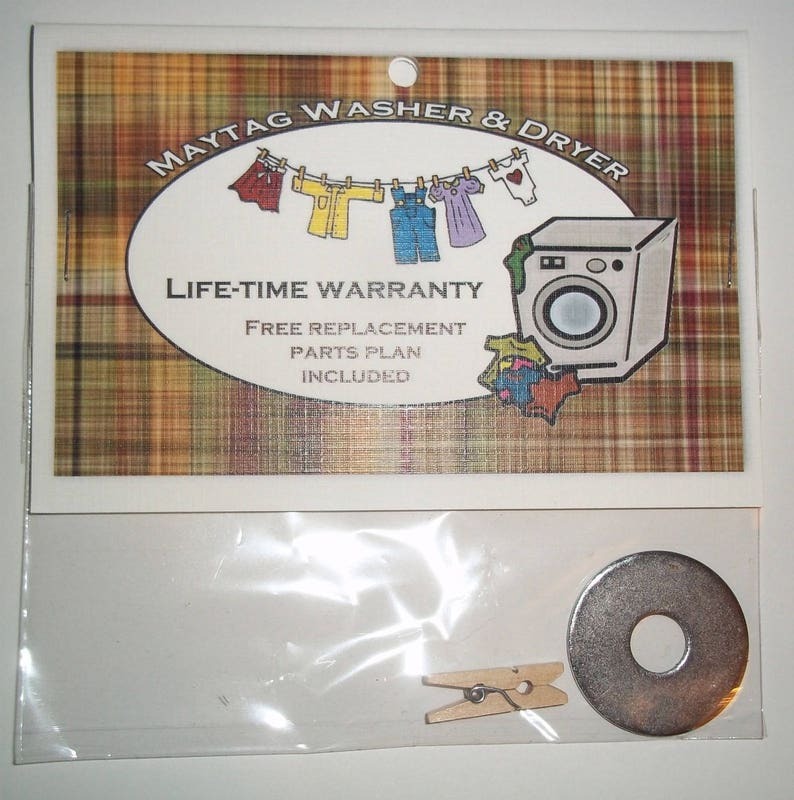 Your brand new Maytag washer and dryer comes with a life-time warranty and a free replacement kit if we can't fix it. No actual guarantees for this product. This product is not affiliated in any way WHATSOEVER with the actual Maytag company. This is for gag gift purposes only.